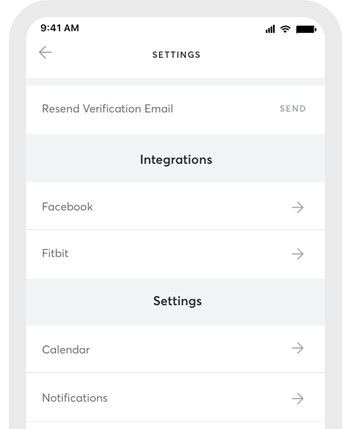 Don't want to enter your email address and password every time you log into the MINDBODY® app? Link your MINDBODY app account with Facebook to make things easy. Once linked, you can see which of your friends also use the app, and even invite them to join you! To get started, tap on the Profile screen at the bottom. Under Integrations, tap on Facebook. Tap on the Link Your Facebook button. To finish, you will be prompted to log into your Facebook account. Click Continue. Note: You can also log in with your Facebook credentials on the web booker.